Reading United seem to have the inside track when it comes to securing players from the University of North Carolina, one of college soccer’s perennial powerhouses. Already on the squad are Billy Schuler and Scott Goodwin. On Monday Reading United announced that Alex Dixon and Martin Murphy would be joining the team for the summer. Dixon, who is from Texas, was an important part of UNC’s back-to-back Final Four runs. Dixon, knows how to score: in 2008 he was the team’s third highest scorer with five goals; in 2009 he had eight goals, making him second to Schuler. Dixon’s young career is already marked by a number of achievements including U.S. U17 Residency Program, four years of inclusion in U.S. Youth National Team Pools, ESP Camp All Star honors in 2006, Region III ODP team duties, and NSCAA and Parade Youth All America nods in 2007. Murphy, who was born in Glasgow, made twelve appearances for UNC this year as a freshman, scoring two goals and one assist. Before joining UNC, Murphy played for CASL in North Carolina where he contributed to winning two Region III titles in 2006 and 2008. 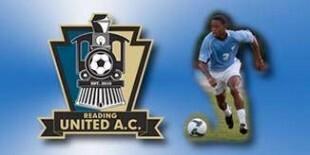 Reading United’s season kicks off on May 8 when they host the Hampton Roads Piranhas at Don Thomas Stadium. The opening night is also Youth Soccer Night and all youth soccer players who are members of teams from the Reading Berks Junior Soccer League and who wear their uniform to the match will have free admission.